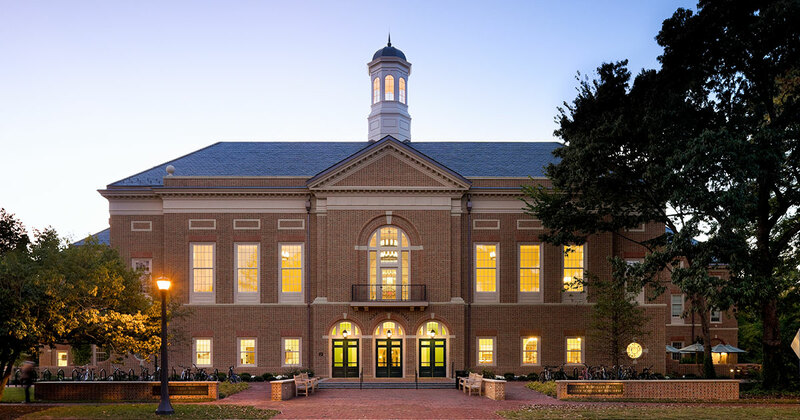 As the fall semester starts, the Raymond A. Mason School of Business at William & Mary is welcoming eight new faculty members to campus. “We’re excited about these additions to our team. They bring broad teaching skills and deep, productive research programs,” said Kurt Carlson, Associate Dean for Faculty and Academic Affairs. Mathew D. Dean, an operations and information technology expert who comes from the School of Business at the University of Southern Maine, where he was chair of the department of Business Administration. Dean teaches in the fields of management science, operations management and statistical data analysis. His research includes developing modeling tools and methods for addressing complex management decisions, health care management and health care operations. Siyuan Li, whose research and teaching have focused on management issues. Li comes from Clemson University, where he was an assistant professor in the Department of Management. His areas of interest and instruction include: social media and network analysis, human and computer interactions, business intelligence and analytics as well as sustainable information systems and energy informatics. Christopher McCoy, an accounting expert who comes from the University of Alabama Culverhouse School of Accountancy. McCoy has taught courses on subjects including: taxation of business transactions and organizations; cost analysis, planning and control; and introduction to taxation. His research and presentations have focused on subjects including market reaction to non-GAAP earnings reported by firms not followed by analysts and investor reactions to companies’ strategic earnings disclosures. Marc B. Moyers, whose career at KPMG LLP included roles as the firm’s national and global sector leader for private equity. Moyers’ work involved leading a multi-disciplinary team that provided services to private-equity firms and their portfolio companies. His responsibilities included: revenue growth, thought leadership development, business strategy and resource identification and allocation. He also served on KPMG’s Global Private Equity Steering Committee. William L. Skimmyhorn, who teaches and researches in the areas of economics and finance. Skimmyhorn served as an assistant professor at the U.S. Military Academy at West Point. His work has focused on: household finance and financial decisions, behavioral economics, human capital, cognitive and non-cognitive skills development, labor economics, education economics, veterans’ issues and national security economics. Ayse Durukan Sonmez, a management expert whose research and teaching have included: facility location issues, algorithm design, data analysis, business analytics and institutional management. Sonmez comes to the Mason School from the University of Illinois at Urbana-Champaign, where she was a lecturer in the College of Business. She formerly was an assistant professor at North American University in Houston. Yu Amy Xia, a supply chain and information management expert who comes from the D’Amore-McKim School of Business at Northeastern University, where she was an associate professor. Her teaching and research areas include: operations, project, quality, logistics and supply chain management, business analytics, global supply-chain issues, sourcing and purchasing and development of sustainable operations. Wei Yang, a professor of finance from the Kelley School of Business at Indiana University. Yang’s teaching and research have focused on issues including: leisure preferences of people, human capital returns, long-run risks of durable consumption and interest rate risk premiums.